For over a decade, The MusicRow CountryBreakout Chart has crowned No. 1 songs in the Country radio marketplace, celebrating 48 chart-topping songs in 2014. MusicRow congratulates each artist, songwriter and label for its accomplishments this year. 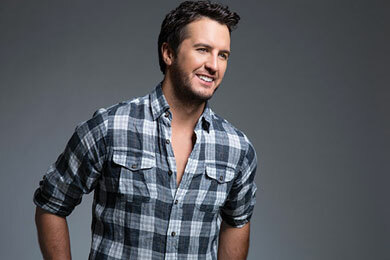 Luke Bryan made the most visits to the top of the chart with four. He made it three times by himself and once as a collaboration with Florida Georgia Line with “This Is How We Roll.” The boys of FGL spent 3 weeks at No. 1, once with “This Is How We Roll” and one of only two multi-week No. 1 songs this year, “Dirt.” The other multi-week No. 1 was Eric Church’s “Give Me Back My Hometown.” He also hit No. 1 with “Talladega,” also giving him three weeks at the top spot. The 13th Annual MusicRow CountryBreakout Chart Awards, based on radio airplay reported by stations on MusicRow’s radio panel, will be held during CRS in February. 1/9/14- Cole Swindell/Chillin’ It/Warner Bros.
2/27/14- Blake Shelton/Doin’ What She Likes/Warner Bros.
3/27/14- Justin Moore/Lettin’ The Night Roll/Valory Music Co.
4/10/14- Brantley Gilbert/Bottoms Up/Valory Music Co.
6/26/14- Blake Shelton/My Eyes/Warner Bros.
9/18/14- Brantley Gilbert/Small Town Throwdown/Valory Music Co.
10/30/14- Blake Shelton/Neon Light/Warner Bros.